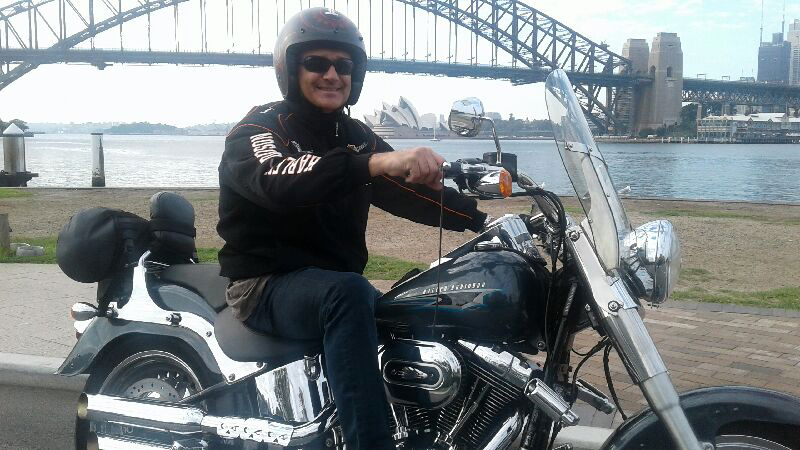 The Manly Northern beaches Harley tour was absolutely amazing – thank you so very much. I am happy for one of the photos of me in the bike to go on your Facebook page. I promise to also write a review. Phil was fantastic and went above and beyond to make sure I had a wonderful memory to take home. All the best and thank you again. 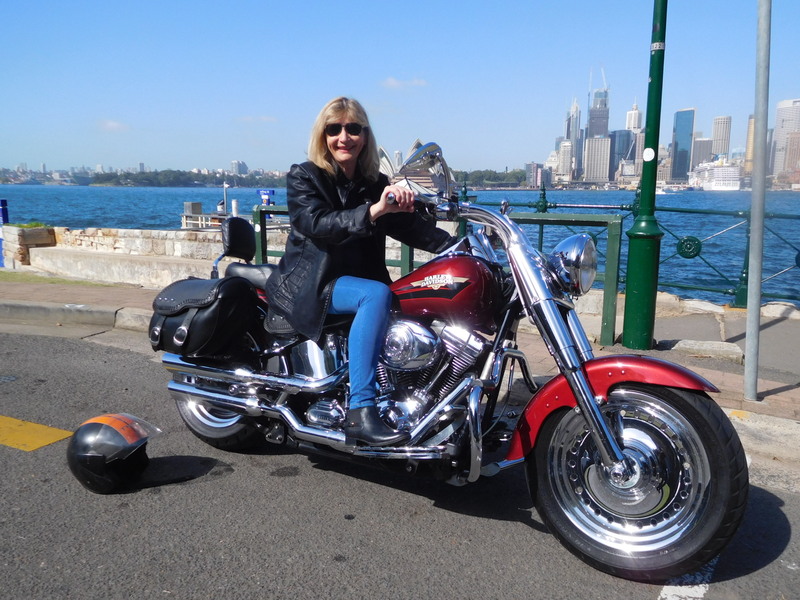 We designed the Manly Northern beaches Harley tour especially for Jenny. She is South African now calling England her home and in Australia for a holiday. Jenny decided a Harley ride would be a good way to see some of the sights most visitors don’t get to see. Quite right! jenny wrote, “I need a kind driver who won’t mind if I cling onto him tightly to begin with as I have only been on a bike once before – I’m not nervous though!”. We have many kind Harley riders but we knew exactly who to use. Phil is very kind, friendly and helpful. Jenny was not nervous for long. He picked her up from her hotel in Darling Harbour. The first thing they did was ride over the iconic Sydney Harbour Bridge. It is a wonderful sight and to look upwards, it really gives a sense of its size and design. They stopped at Blues Point to look across the beautiful Sydney Harbour towards the Sydney Opera House and the Harbour Bridge. Not far from there is Jeffrey Street Wharf, therefore they stopped for photos and to look at the wonderful view. It doesn’t matter what angle you see the famous icons, you’ll always love the view. Even on a grey day it is beautiful. Continuing on, they rode eastwards into upperclass Mosman and down past Taronga Zoo to Bradley’s Head. So, if you are lucky you’ll see koalas having a nap or eating gum leaves. This is a headland protruding from the north shore of Sydney Harbour, with beautiful views to the city and the eastern suburbs. Jenny and Phil called in to see the expensive Balmoral Beach, which is in one of the bays of Sydney Harbour. Over The Spit Bridge and down to the famous Manly and North Head. More beautiful views!! Along the coastline they rode, past some of the northern beaches – such as Queenscliff, Curl Curl, Dee Why and Collaroy. We love this area of Sydney. It is beautiful but has become very popular to visit and to live here. They rode up to Narrabeen Lagoon and onto the Wakehurst Parkway. This is a road which is tree lined and the speed limit is slightly higher, 80kms per hour. It gives the rider and passenger a chance to go a bit faster, to really hear the Harley. All too soon the ride finished. Where did the 2.5 hours go? 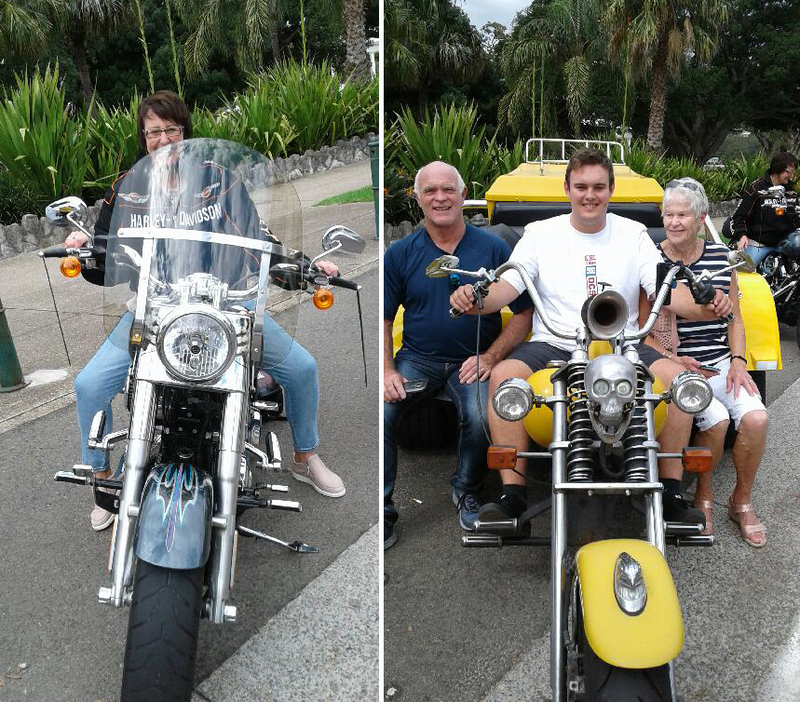 A Manly Northern beaches Harley tour was a fabulous way to see these beautiful areas of Sydney. There are no trains on the peninsula so to see that area you need a vehicle or you can catch a bus.